Our multi-channel contact management centres are both based in the UK – Northwich and Dalgety Bay. Combining the latest in customer contact centre technology, Ingenico can support all contact means from social media to more traditional telephone based services. Ingenico’s customer service contact centre comes complete with reporting capabilities and a live handling capacity to ensure customer engagement is convenient, quick and professional. 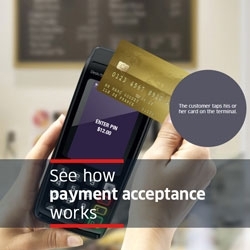 Our experienced Customer Contact Agents have the ability to provide basic trouble-shooting assistance with fast escalation processes to next level Agents with first-hand knowledge of your payment devices in order to resolve any issues you may have relating to your Ingenico Smart Terminals. Each enquiry is tracked in real time to ensure that you receive the assistance required and that minimum disruption is caused to your business. If you have a technical enquiry, please contact your helpdesk in the first instance.